Expat Life: How We Phone Home | Ellen Says Hola! How to call the U.S. from the U.K.
I’m glad you asked and boy am I excited to tell you about it! Let’s start with the basics: phone calls. By this I mean: keeping in touch with friends and family without asking them to change what they do. I’ll start with the terrible, low-tech ideas: normal phone calls and calling cards. If you’re coming from the US (like me) and are thinking to yourself “Hey, my carrier allows calls overseas; all I have to do is sign up for their international plan!,” you should throw your phone in the nearest river right now, because you don’t deserve to have it. Why, you ask? Because all those plans are horribly expensive. By “horribly” I mean you should buy me some beer with all the extra dollars you’re sitting on. (Please, seriously, I love beer.) The current exception to the “horribly expensive” rule is T-Mobile, which includes a very basic international data plan, which isn’t suitable for living abroad. This might not seem terrible until you realize you’ve already blown through your data allowance after two days from all those Facebook pics you’ve uploaded and the automatic photo stream uploads you’ve had going on in the background. Oops. What about calling cards? No, just…no. Turns out there’s this thing called “the internet” – you should check it out sometime. I could go on for days about why purchasing plans from your US carrier is a bad idea, but this post is more about what I use now. I’m an expat, which is very different from going on vacation somewhere for a week. I’ve used Skype in the past – why not use it now? Remember when I said early on I like using inexpensive solutions? Yeah, that’s where this comes into play. You can buy a phone number from Skype and sign up for a normal calling subscription. All those words mean “not cheap.” What about FaceTime? As far as I know, you can’t make normal phone calls with it or call anyone who doesn’t have FaceTime — you can only do FaceTime-to-FaceTime “calls,” which isn’t really what I’m going for. Plus, not everyone I want to talk to uses an iPhone. When you sign up for a free US number, you can call normal phones and people can call you via the Google Voice or Google Hangouts app (Voice/Hangouts are practically interchangeable for our purposes). It’s currently free to make and receive calls from US/Canada numbers (though other countries cost money). You already have a Google account. If you don’t, stop lying, yes you do. You can send text messages from the Google Voice account. You can do all of this from anywhere, as long as you have a data connection. When we moved from the US, I had a cell phone through T-Mobile. The international data worked well on short business trips, but I was given a work phone when I got to the UK and saw no reason to pay for an extra phone. I therefore ported my phone number — the number people already have in their contact list — to Google Voice for $20USD. This is the brilliant part: by porting the number over, I took the phone carriers completely out of the equation on my end. Because Google Voice integrates with Hangouts, I can make normal calls to anyone in the US as though I’m calling from my old cell phone – all I need is an internet connection. Since porting our US cell phone numbers over to Google Voice, Ellen and I have had no problems keeping in touch with people back home. If you’re trying to reach us, you literally do nothing different – you just call or text, and we respond, even though we no longer have US cell phones. Four US phone numbers – We each kept our old Google Voice numbers and ported the cell number over, so I technically have two US numbers and so does Ellen. My UK mobile number. This is great for making UK calls, but it’s paid for by my company so I don’t tend to use it for personal/international calls. Ellen’s UK mobile number, which we acquired after the move, and also don’t use for US or International calls. Google Hangouts is the app we use to call and text. You set it up with your Google account and then download the Hangouts Dialer app, which integrates into the regular Hangouts app and lets you make normal phone calls. We spent quite a bit of time explaining to people that yes, they could indeed keep communicating with us as though nothing had changed, even though we were in the UK! Log in to all the apps in all the places! If you’ve done everything right, this should be a one, maybe two-beer project (after Step 1). Porting the number will take the longest, and it’s all on the carriers to figure that out. Once you submit that request and cough up $20, you sit back and wait. When someone in the US calls my old cell phone number, it rings on my laptop and cell phone, but that’s because it’s coming in as a Hangouts call, not a normal phone call. If someone texts me? It’s the same thing. How much does all this cost? Depends on which beer you bought, but porting the number is $20 and everything else is free, so the long-term costs are negligible. Ultimately, as long as you have an internet connection, you can do pretty much anything you need. The great thing is it’s all dirt cheap. Can it get confusing switching between Hangouts, normal phone calls, and text messages all on your phone? I guess, but it sure beats paying some US carrier twenty times more than you should for something that doesn’t work as well. I now carry two mobile phones – one for work, and a personal one tied to a UK number to help keep work and life a bit more separate. All the principles outlined above are still the same. We’ve largely switched to WhatsApp for better security (and because all of Europe uses WhatsApp) but still use Google Voice for phone calls to and from the US. I’m moving to the UK in about a month and I found this post super helpful. Thank you! Just a few questions I hope you’d be able to answer for me. 1. 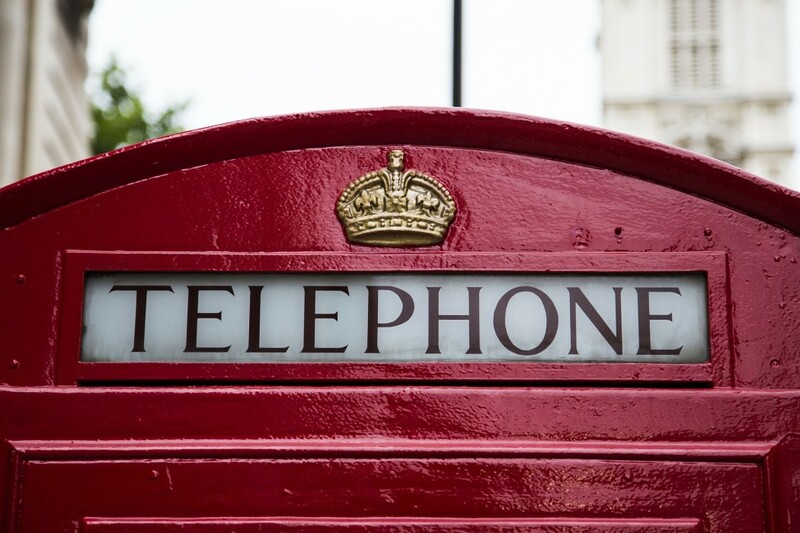 Did you port your number to Google Voice before you left the US or did you do so from the UK? 2. Did you have to forward your Google Voice number to another US number so you could send and receive texts and calls on your Iphone from Google Hangouts/Google Voice? That was my understanding. So if so, did you buy a Skype US number? As I believe you cannot forward your Google Voice number to a UK or any international number for that matter…. Any insight you can give would be so helpful. 1. We ported our US cell numbers to google voice shortly after moving to the UK. It’s ultimately your preference, but we figured it’d be good to still have US cell service while we traveled there. Because I was on T-Mobile, I was able to continue using my phone while we got settled in the UK, but I think we ported our numbers within a week or two of moving. One thing to note is we had already fulfilled our US carriers’ contracts – if, say, you’re still in a two-year commitment with your carrier, you will probably need to factor in early termination fees (which vary by carrier). I was with t-mobile, so an ETF specifically wasn’t an issue, but each carrier is different. Porting the phone number effectively terminates your existing cell phone line. 1. You can fire up google chat from within gmail, which hooks into google voice. 2. Use google voice directly to make and receive calls and texts. Here’s what makes all this tick: while you can forward google voice to a real live phone number (say, a US landline or cell phone, etc), you don’t have to. My google voice number is my old cell number. When people call that number (just as they always have), instead of ringing like a normal phone call, it now rings from within hangouts (on all of my devices at the same time where I have hangouts installed). There was no need to try to forward google voice somewhere else (like using a Skype number – using google voice is effectively already like having a Skype number). I can therefore send sms messages and make phone calls from within hangouts, and to the person on the other end, it looks like I’m simply on what used to be my cell number, same as ever; only I know I’m on hangouts – to everyone else, nothing changed. I *think* porting a number to hangouts will break iMessage (if you use it) if iMessage is tied to a phone number – just something to consider. When google voice was released, it offered free calls to the US (and Canada, I think) for “a limited time.” So for, they’ve kept those calls free and other international calls relatively inexpensive. Is it possible they’ll start charging for the US calls? Sure. If that happens, I’ll weigh the costs and either stick with them or find another solution. I think google voice still gives you a free phone number when you sign up – you can use this to take it for a test drive. If it works for you, great. One last thing to consider: because we ditched our US cell plans, we did sign up for new plans in the UK. After evaluating our options, we went with Three. They have their “Feel at Home” program which gives us free international roaming (in mostly EU countries, but also the US). This means when we travel to the US, we continue using our phones as if we’re in the UK. Because we have data, we can use hangouts without any problems. The data can be quite slow at times but is generally still totally usable. And thanks for following the blog, Louis! Best of luck with the move. We know those last few weeks can be hectic!